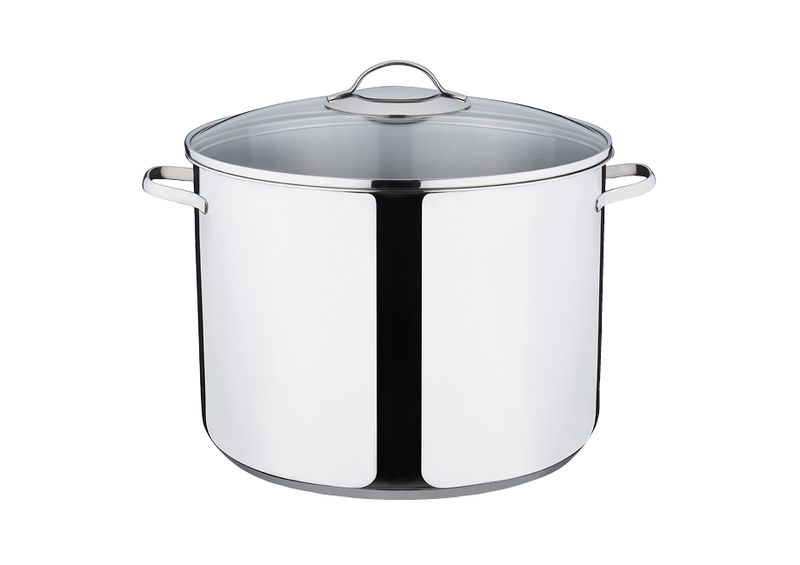 KELOMAT’s Classico high pot is the perfect pasta pot, soup pot or the ideal pot when many guests have to be cooked. It is made of premium stainless steel and therefore indestructible and will keep its shine even after many uses. In the high pot, you can make pasta, as well as soup and stews like goulash or ratatouille for a lot of people. The induction-thermo-stabile-base saves energy while cooking. It conducts heat optimally and stores it for a long time. In addition, the pot has a transparent lid and a practical scale on the inside.